We will design a personal practice and address any special needs to suit your individual needs, which will in turn help facilitate the healing process on many different levels. ​With today's busy life style it is getting harder to find the time to be still. Take the stress out of your day with a yoga practice in the comfort of your apartment or home, and let one of our Teachers bring Yoga to YOU!! With Maryke's guidance, yoga and meditation practices have changed my life on a very deep and personal level and has helped me to find the calmness within which has benefited me both physically and mentally. Maryke's deep love for yoga and her generosity of spirit fills one with peace, leaves the mind clear and the body feeling renewed. Maryke's yoga class offers a wonderful combination of strength building and increased flexibility, ending with a peaceful sense of spirituality that lingers the rest of the day. Yoga is a must for me during my busy schedule.  Copyright © 2014 Yoga with Heart.